We faced the daunting task of improving our now legendary ASA-Series amplifiers. Welcome ASA3! Our third generation of ASA-Series amplifiers have a narrower footprint for installation versatility, increased overvoltage protection, broader input sensitivity, new extruded chassis designed for better heat management and a sporty light up badge. We still managed to keep all the popular features usually found only in other brands' high-end ranges. Feature packed with a wide line-up of 2, 4 and even 5 channel amplifiers, ASA3 Amplifiers meet the needs of any serious audiophile. The new improved heatsink uses more extruded fins, while still maintaining the clean lines that made ASA a classic. These amplifiers always deliver pure, clean power with the soul of rock and roll or whatever your taste. Variable 12 dB, high/low pass electronic crossover for infinite system applications. A MOSFET power supply for efficient and distortion-free sound reproduction which offers 2-ohm stereo or 4-ohm mono stable capabilities.User-friendly features like a variable bass boost control with 18 dB of boost at 45 Hz to give you more output from your subwoofers. If you really want serious control of your subwoofer output, an optional remote gain is available for all 2, 4 and 5-channel models. 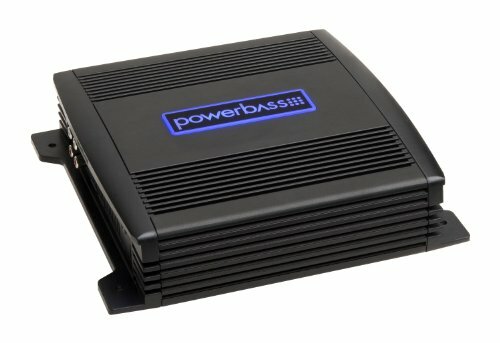 Our Bass EQ control also gives you the ability to increase your subwoofers output by up to 18dB at the earth shaking frequency of 45 Hz.To finish these amps off, we include a remote level control to give you the ultimate in subwoofer volume control from the cockpit of of your vehicle.